Venom has injected a whole new life into the British metal heroes. 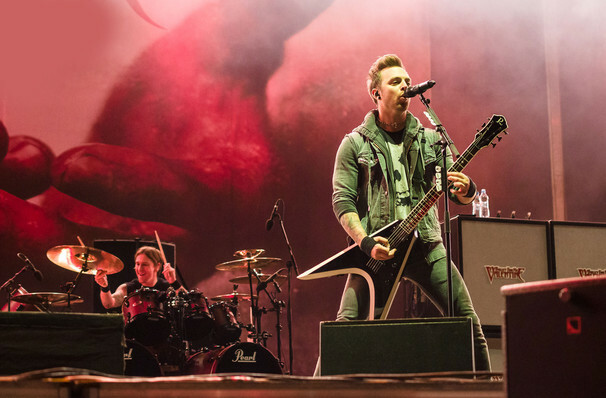 Why See Bullet for My Valentine? Welsh metal quartet Bullet for My Valentine first formed in 1998 but only found widespread fame when they released their first album in 2005, The Poison, which went onto be certified Gold in the USA. Taking their cues from '80s metal bands such as Metallica and rockers Nirvana, they made their mark on the punk-infused metal of the new millennium to make melodic, dark rock without discarding their metal roots. Whilst metal virtuosos in the studio, these guys are happiest up on stage tearing it up, cementing their reputation as one of the most fan-oriented metal bands of the new millenium. The year 2015 saw a change in their lineup with Jamie Mathias replacing Jay James as bassist, and the release of their fifth studio album, Venom, which included the monster single No Way Out. Sound good to you? Share this page on social media and let your friends know about Bullet for My Valentine at The Pageant. 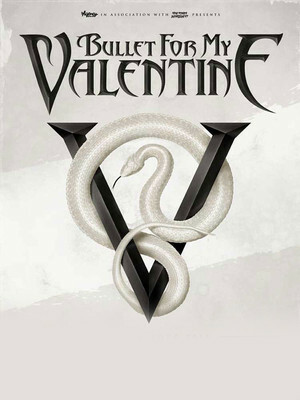 Please note: The term The Pageant and/or Bullet for My Valentine as well as all associated graphics, logos, and/or other trademarks, tradenames or copyrights are the property of the The Pageant and/or Bullet for My Valentine and are used herein for factual descriptive purposes only. We are in no way associated with or authorized by the The Pageant and/or Bullet for My Valentine and neither that entity nor any of its affiliates have licensed or endorsed us to sell tickets, goods and or services in conjunction with their events.